I’m revealing here, for the very first time, a diving phenomenon often experienced but seldom reported, one which will require diving manuals and medical texts be revised. It happens at the very start of your dive adventure. Just as you relax and get used to a new state of consciousness; you get scrambled brains. Let me explain. Your overseas dive adventure is a big event, one you have been looking forward to for some time. As the time for departure approaches not only do you have to tidy up home and office affairs, you are rushed with the preparations necessary for the journey. Almost in a panic, you conclude all your frantic jobs and you set off, if you’re lucky, with only the tiniest nagging feeling that you have forgotten something. The best dive destinations are often difficult to get to – multiple flights and tedious overnight hotel stays quite the norm. Along the way, a transformation takes place: You start dreaming about bubbles and swirling barracuda instead of reports and deadlines. Your escape from the daily grind is accelerated by seductive thoughts of reefs, blue seas and total karma under palm trees caressed with tropical breezes. Your baggage did not come off the carousel – but that was only because you waited at the wrong one. And the cancelled flight and missed connection was the plight of some other diver. And, yes, the boat will wait for you, even though you are three hours late. Story #1: A few days into one trip and a guest tells me with some alarm, “I’ve lost my wallet!” He claims to have looked everywhere but just cannot find it. His transformation has been so complete that he cannot even remember the last time he used it. But finally he recalls the vehicle that brought him from the airport had a puncture and he gave the driver a hand; perhaps it dropped from his pocket, or fell into the vehicle. I use our satellite phone to call the driver. No, he didn’t find a wallet. He then makes calls to cancel his credit cards, and laments the loss of $1,000 cash. Story#2: Guests were preparing to depart the boat for their flight home, and a frantic guest, his wife in tears, rushed to me. “Our tickets and passports have disappeared!” They searched their cabin and baggage, cannot remember even getting on the boat, let alone what they did with their travel documents. These are lovely people and it pains me to see them so distraught. Not “I cannot find it”, but “Someone has taken it”. This woman, so quick to blame others, was hysterical. I remained adamant that no one would steal her necklace, but she accuses the crew, which immediately gets my hackles up. I trust my crew – we’ve worked together for years. I know they are being unjustly accused and it annoys the hell out of me. #1 Our first gentleman, while repacking his bags at the end of the cruise, noticed a pair of unused underpants in his suitcase – and found his carefully wrapped wallet inside. He had put it somewhere “safe”, and immediately forgot all about it. I mean all about it. Of course this created instant fun. “Seen my snorkel Jim?” “No mate, try your underpants” … etc. #2 The couple from the second story had discovered a cabin drawer, put their travel documents in it, and had immediately forgotten the incident. I helped search the cabin with them, opened the drawer – and there were the documents! They were overjoyed, and mystified as to how they could have been so foolish. My advice: Beware of scrambled brains. Take care immediately after arrival not to change your routines, and put your stuff away where you usually do. 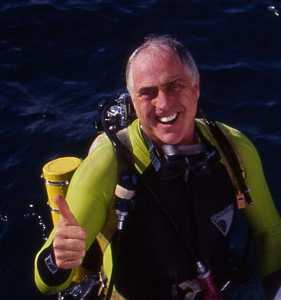 Get your dive gear and cameras set up carefully, then go diving – and forget everything. curcacao weed a couple of hours after the very last dive of the week, and had left my camera in one of the divemasters’ truck. He called up to our bungulow to ask if I’d left my camera in his truck and I was so blasted that (thinking he was referring to an Underwater Camera)I literally insisted, “No problem, dude.. I don’t have one.) When I came to my senses I was able to reconcile the situation and recover the camera. Lesson: a week of diving/sobriety can exacerbate what would normally be simply a mildly serindipitous feeling of high expectation. That explains why I couldn’t find my camera memory cards upon arrival in Cayman, only to find them exactly where I had carefully packed them upon return home. I am now the proud owner of the world’s most expensive xD picture card that I had to purchase in Cayman because “I must have left those cards on my desk at home and forgotten to pack them”. Anyone who has experienced jet lag will recognize the symptoms above. Add exhaustion from a long, multi-leg day and even young people can “forget”. And it’s not just seniors–a school teacher once told me about all those young perfect minds she had–couldn’t even remember their coats…. Thanks for making many more aware of this. I’ve found a few extra minutes unpacking, etc. goes a long way, rather than just throwing things into whatever space. Thank goodness — I was worried those were senior moments! I get scrambled brains even when I’m not off on a diving trip. Anyone seen my keys? It’s all in the planning. Think out every step in advance. Well in advance.